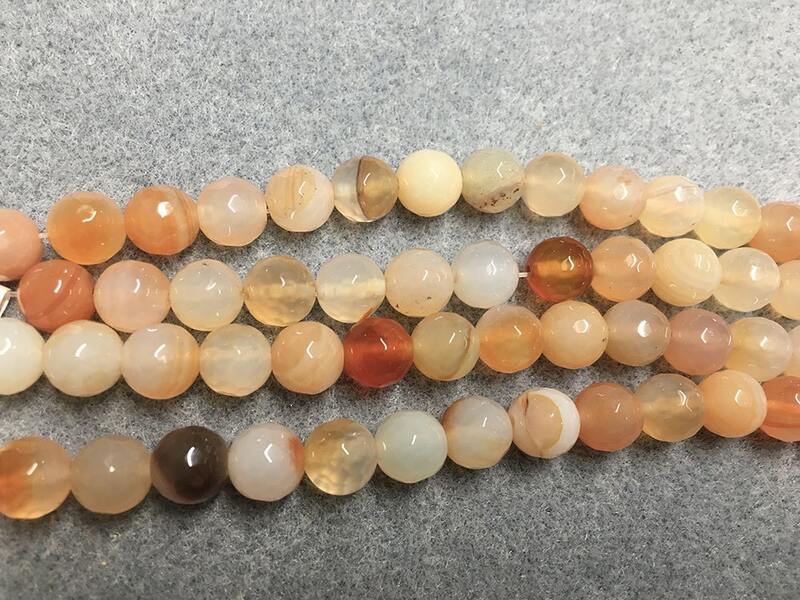 Agate beads in shades of peach and orange; these faceted rounds measure 8mm. There are 24 beads per 8 inch strand. Agates are a microcrystalline variety of silica, chiefly chalcedony, characterized by its fineness of grain and brightness of color. They can be found in various kinds of rocks.